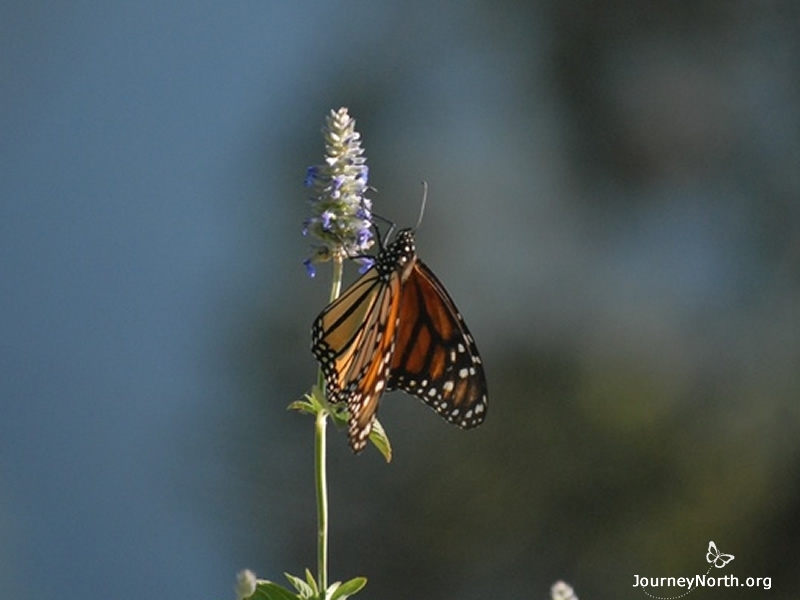 Slideshow Overview: Why is This Place So Special for Monarchs? 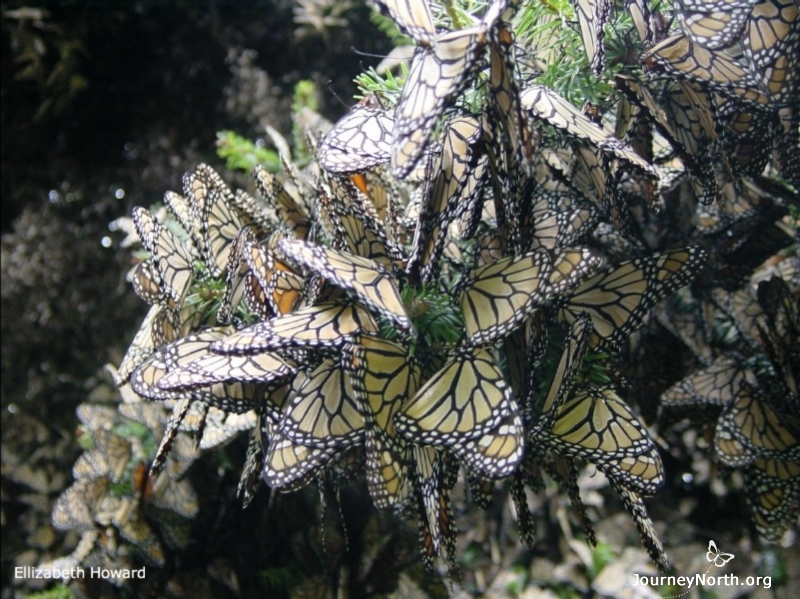 Migration Destination Every fall, monarchs migrate to a very small region in Mexico. They fly from across eastern North America to a region that's only 73 miles wide. The region is outlined with an orange rectangle on the map. Overwintering Region Only 12 places have the habitat the butterflies need to survive for the winter. The region is outlined with an orange rectangle on the map below. Concentrated in Colonies The butterflies in a colony crowd together so tightly there can be 15,000 butterflies on a single branch. 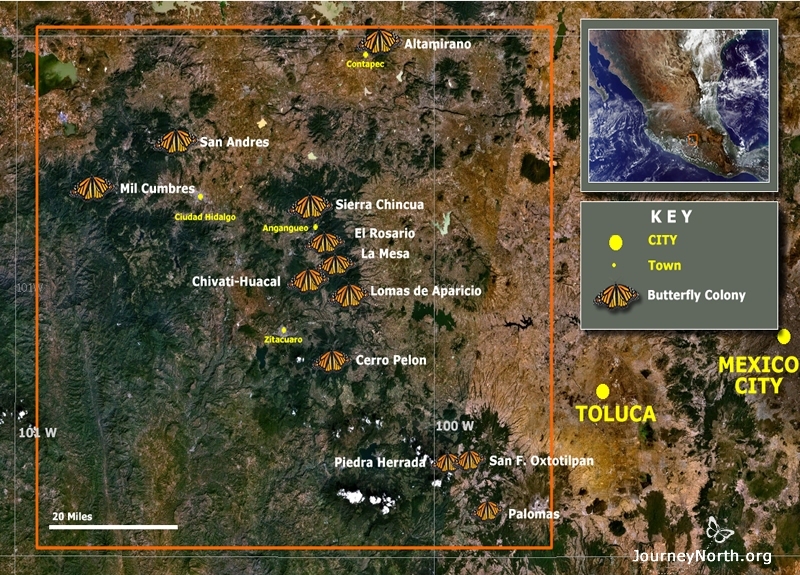 Announcing the Discovery The fact that monarchs migrate to spectacular winter sanctuaries in Mexico was not known until 1975. A Canadian biologist, Dr. Fred Urquhart, had been searching for nearly 40 years. 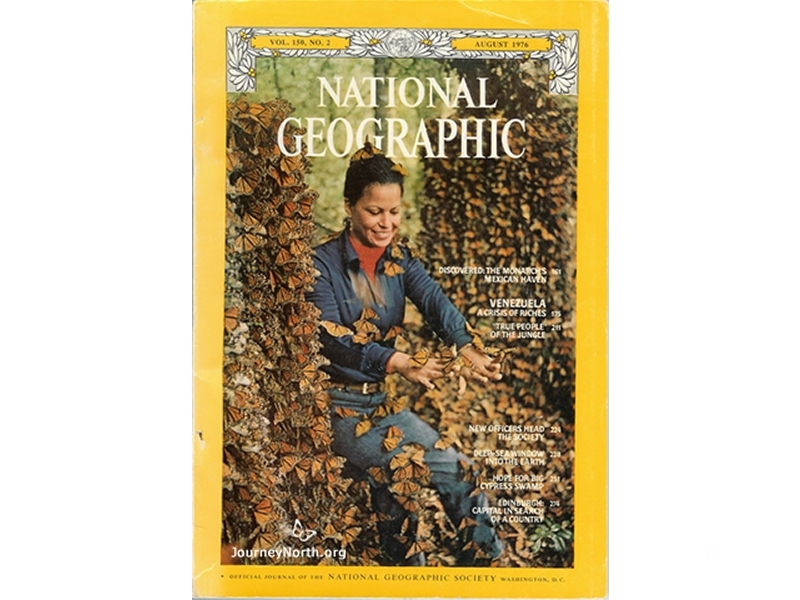 National Geographic announced the discovery in the August, 1976. 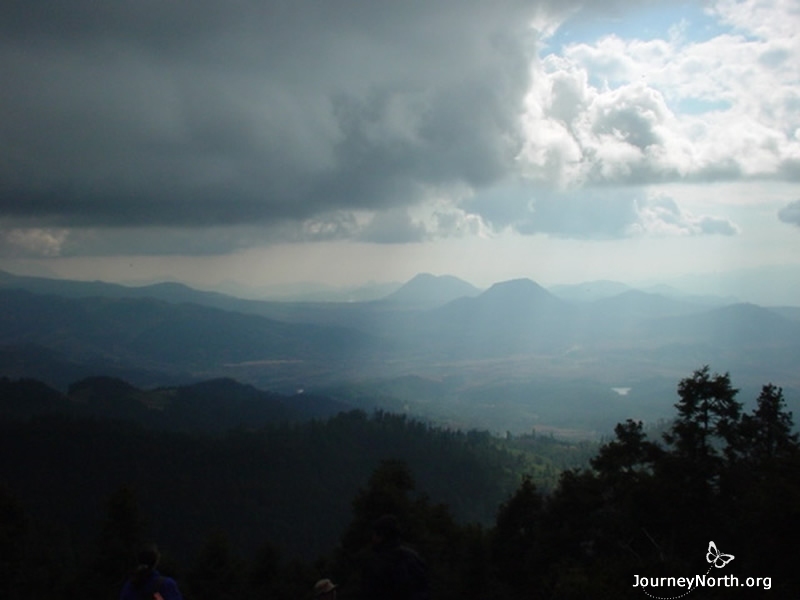 High Mountain Habitat When scientists traveled to the region they found a landscape of volcanic mountains, rising to 10,000 feet in elevation. That's nearly two miles above sea level! 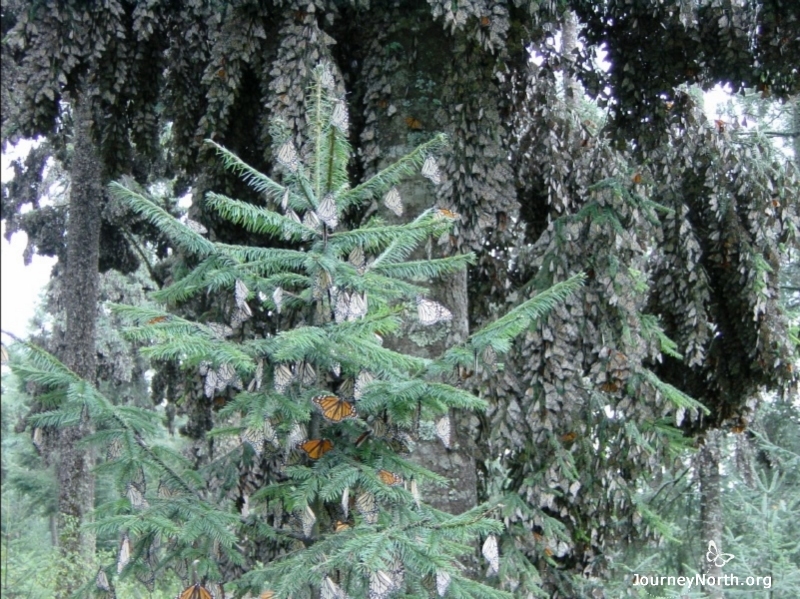 Oyamel Fir Forest They found the monarchs clustered together in colonies in a forest of fir trees called "oyamel" ("o-ee-ya-mel"). 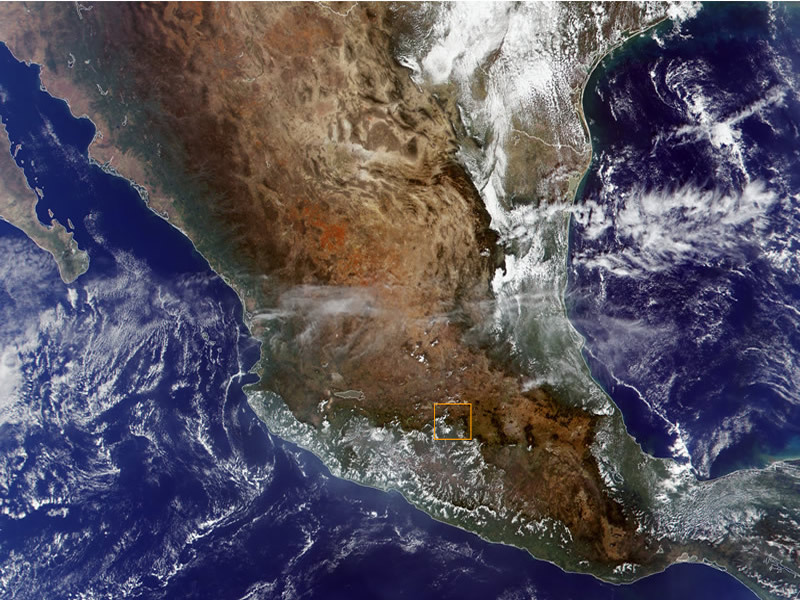 Very Rare Habitat Scientists later learned the oyamel forest is very rare in Mexico. Take a look! 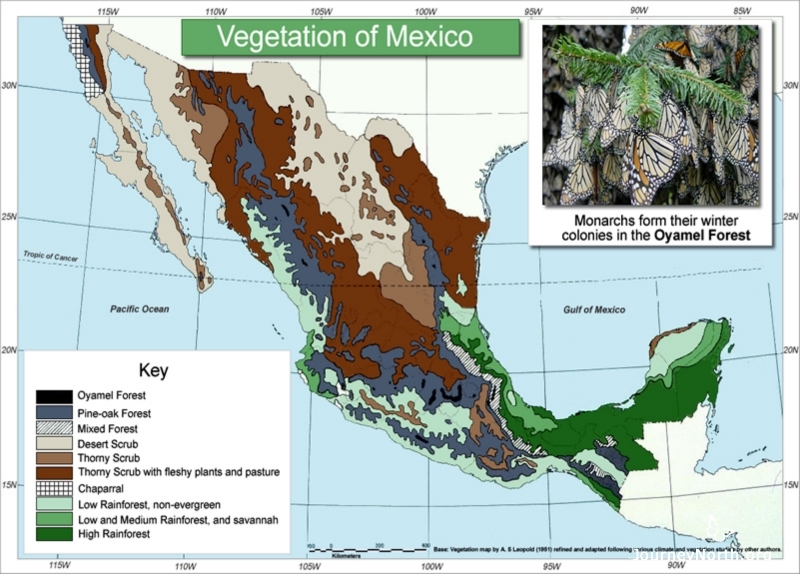 This vegetation map shows the only places where oyamel forests grow in Mexico. 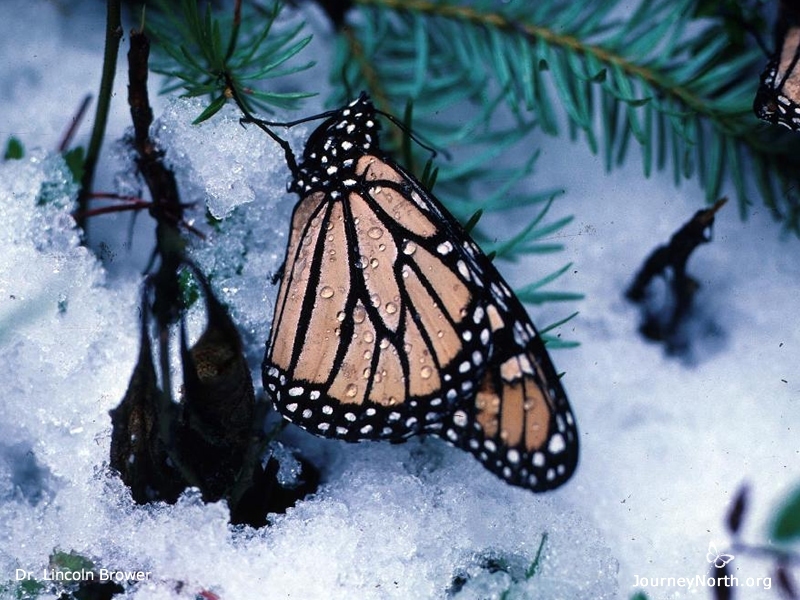 Surprisingly Cold Scientists were surprised to find the monarchs in such a cold place. Overnight temperatures often drop below freezing and sometimes it even snows! They wondered why monarchs would fly across the continent to a place that's so cold. Few Flowers There are a few flowers in the forest, but not enough to feed millions and millions of monarch butterflies all winter. How could the monarchs survive for 5 months in a place with so little food? A Magnificient Mystery Ever since the discovery in 1975, scientists have been trying to understand the monarch's basic biological needs. 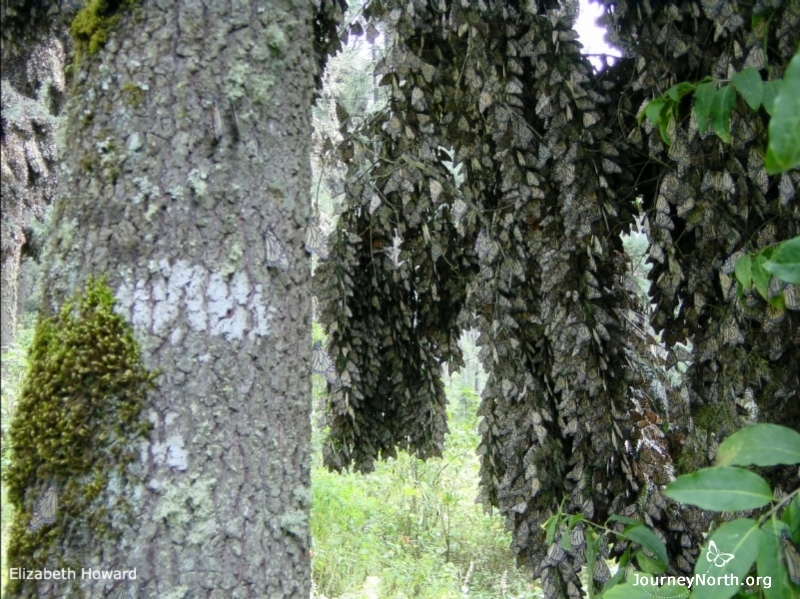 They are still learning about the unique conditions, or microclimate, of the oyamel forest and why it's critical for monarch survival. A World Treasure The fact that the monarchs can survive for five winter months in Mexico is as amazing as their spectacular migration. 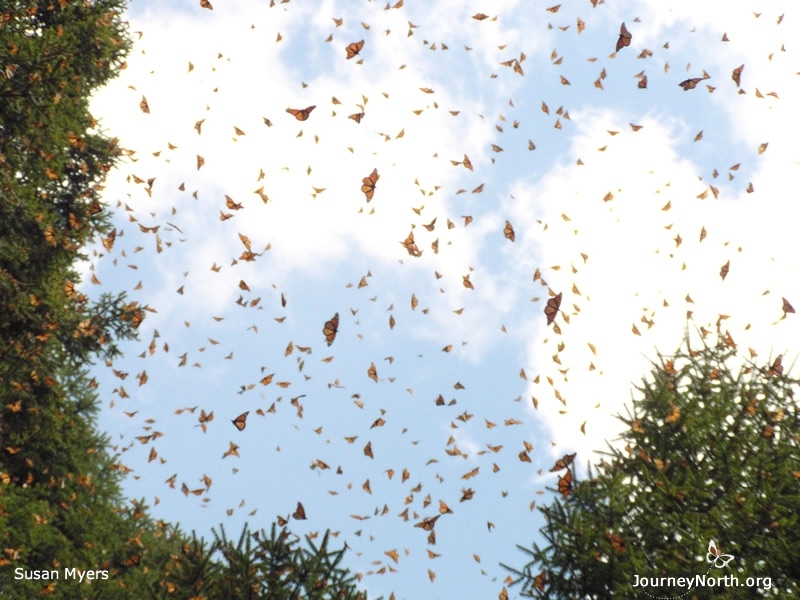 Monarchs and their spectacular migration are known worldwide. 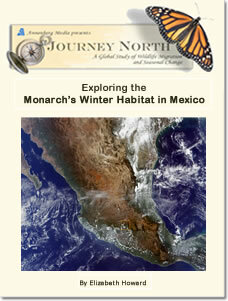 What conditions make the monarch's overwintering habitat in Mexico ideal for survival?